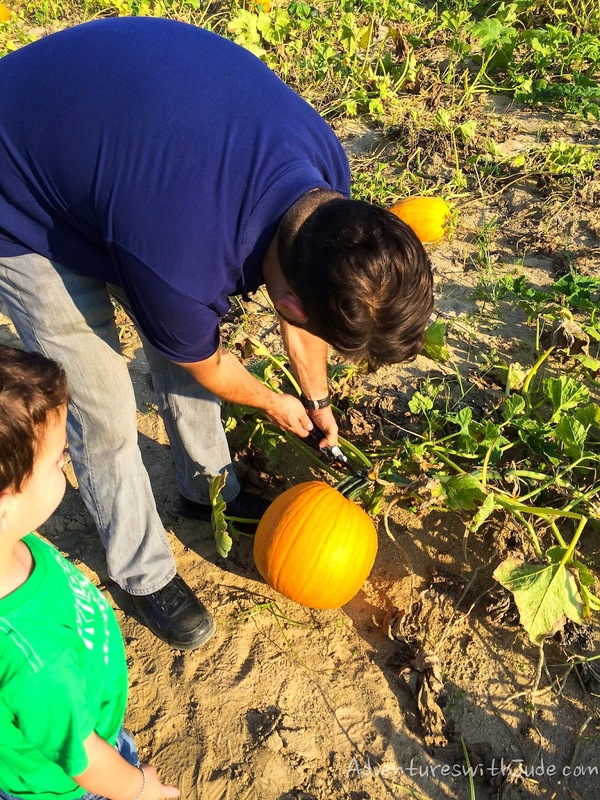 One of our favorite fall activities is the U-Pick farm. Sure, there are berries in the spring, and cherries and peaches in summer, but we love picking apples and pumpkins in the fall. Nothing smells more like "fall" than applesauce simmering or an apple pie baking (it's finally cool enough to turn the oven back on) while specially chosen pumpkins decorate the house. 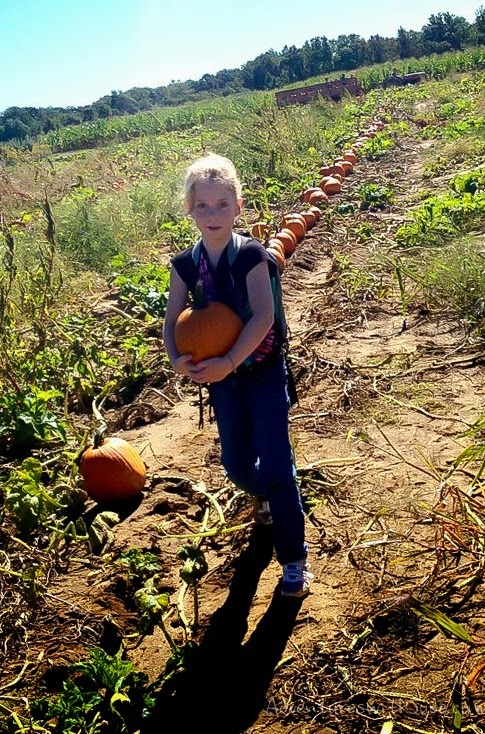 You can pick any pumpkin in the patch, as long as you can carry it. Lucky for Damien, big brother Luke came to his rescue and helped him carry this one out of the field. 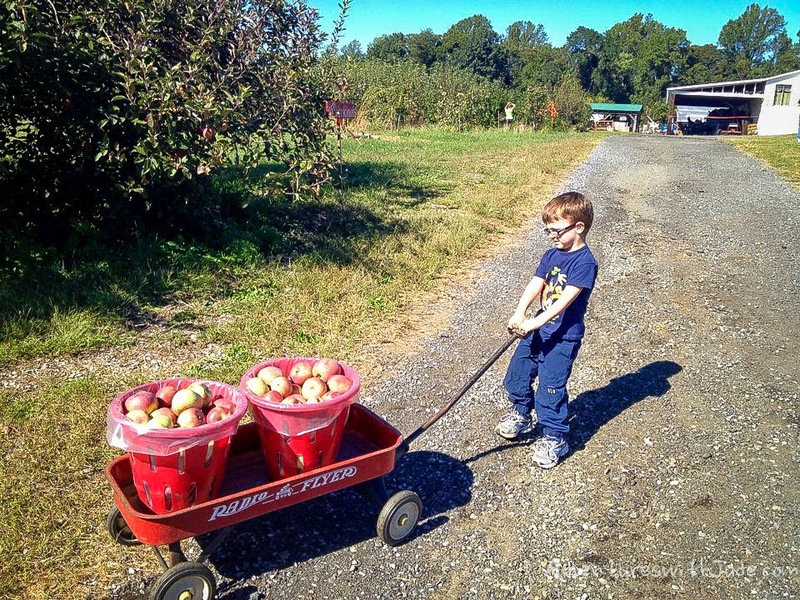 Jude got smart and pulled a wagon out to the apple orchard! Work smarter, not harder! 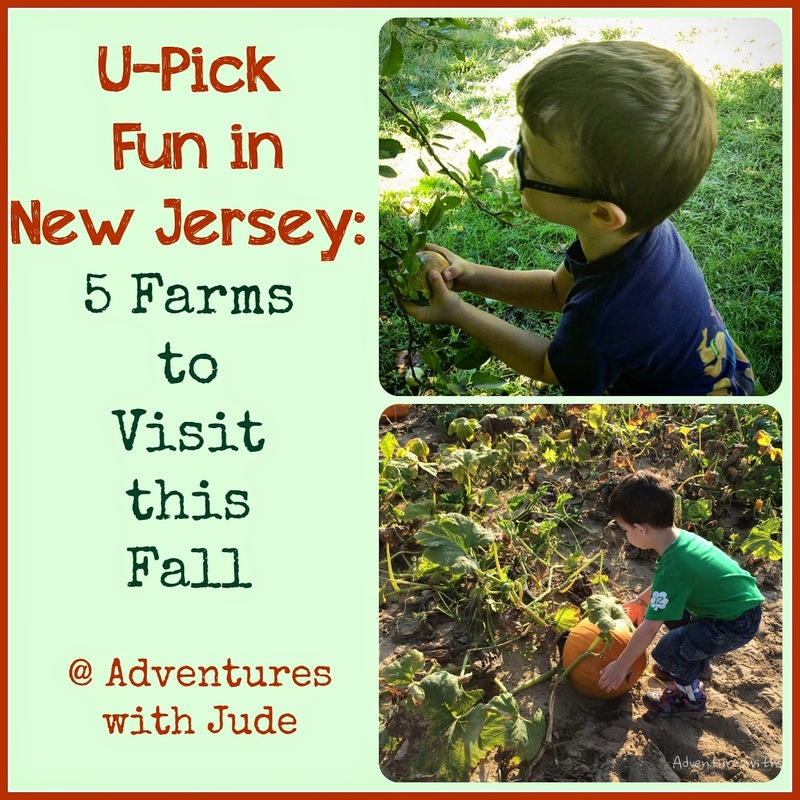 Living in the "Garden State", there are so many Pick-Your-Own (PYO) farms around here. 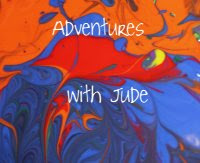 Some of our favorites are listed below. Many have spring and summer PYO crops as well. Always make sure to call ahead before going, because while there are fairly set seasons for crops, precisely when fruit is ready to pick is up to Mother Nature! Russo's PYO starts in May/June with strawberries, and the season continues through to December with Christmas trees. 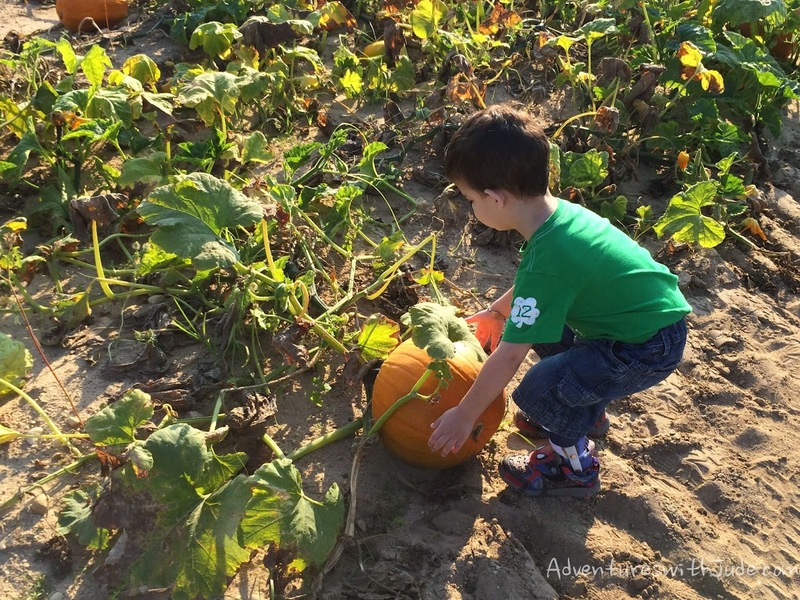 In addition to PYO apples and pumpkins, Duffields features hayrides and a corn maze. Stop in the farm market for still-warm cider donuts and the best chicken salad you'll ever eat. 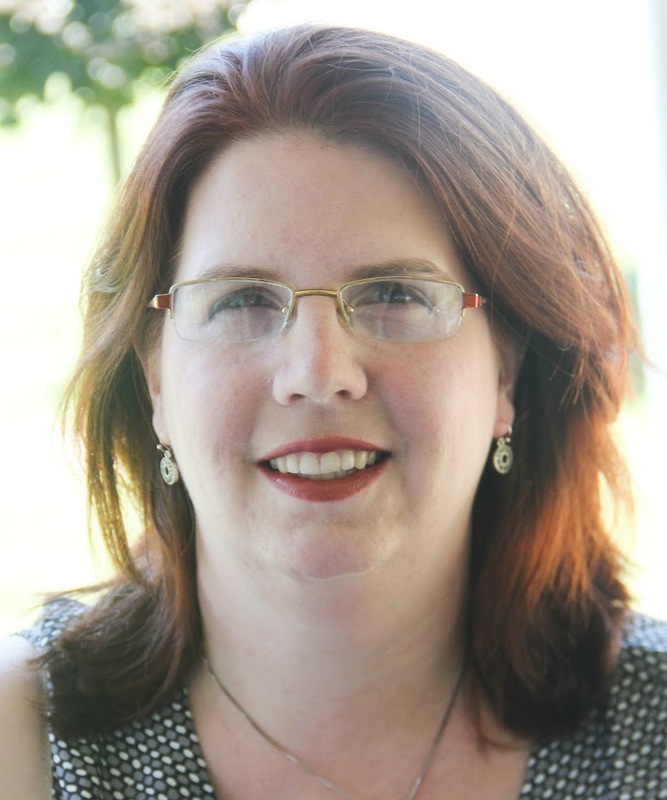 Student groups welcome with reservations; closed Sundays. This farm offers the usual Jersey apples and peaches (sorry, Georgia, but Jersey wins every time!) but also PYO Jersey Tomatoes. If you have white bread, a smear of mayo, and a thick slice of a red ripe Jersey tomato, you have summer on a plate. Fruitwood is well-known locally for their honey - their blueberry honey is my absolute favorite and tastes wonderful in our Honey-Apple Bundkuchen. While they don't currently have PYO apples (just strawberries and cherries earlier in the summer), it's worth a stop in the fall to get some honey. Johnson's Farm is another farm to consider if you have a larger group - they can accommodate groups from 15 people on up to 300. It's a favorite of many school children - a trip includes a hayride, a seasonal picking, and an animal farm. Happy Fall, Y'all! Go pick something delicious! A wagon is a very smart idea! I love going to the pumpkin patch each year. 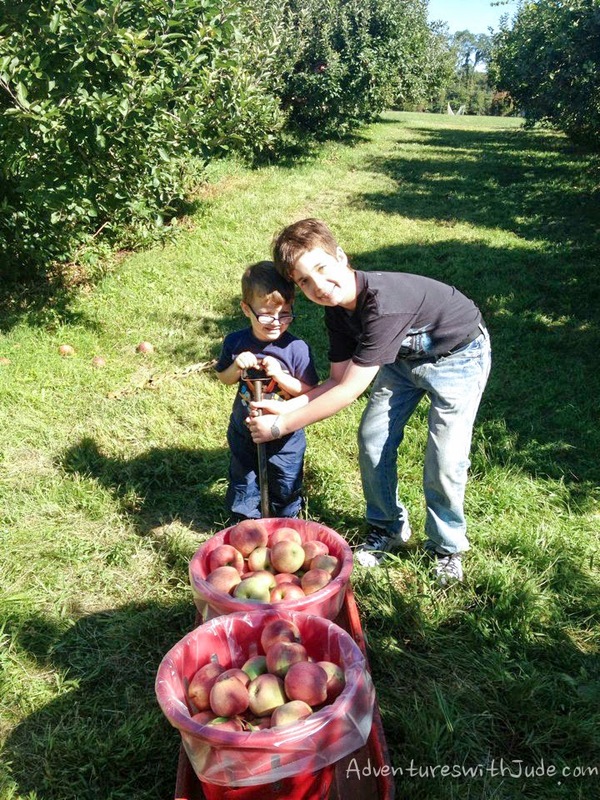 We don't get apple picking as often but it's a great fall family activity!